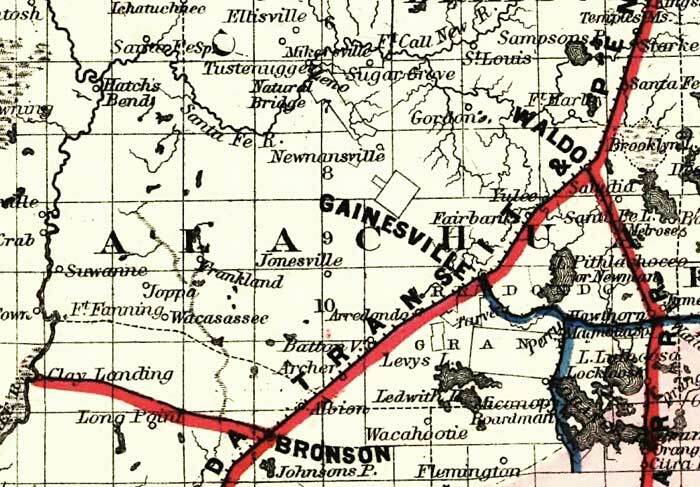 Alachua County as shown on a 1882 G.W. & C. B. Colton and Company map showing the Florida Transit and Peninsula Rail Road and its connections. The solid red indicates the railroad line.